John, obedient, sat at the table. It was stained and burned in places, and scattered with piles of copper coins and a discarded deck of cards too dog-eared for use. Flood is an unusual book, very much unlike anything else, and you have to give it a chance – at the beginning I had no idea what to expect, what kind of book this was, and I’m not sure I had much more idea at the end, but I liked it very much, I was full of admiration for the writing and construction. John leaves London during a hot spell, drives out, gets lost, comes upon a house in a forest. The people in the house seem to be expecting him, greet him by name, and he finds himself staying there for a few days, getting to know each of his hosts. The mysteries – why they welcomed him, what they are all doing there, who wrote the letters – are all explained to some extent, but aren’t really the point of the book: I thought Perry handled this aspect very well indeed. 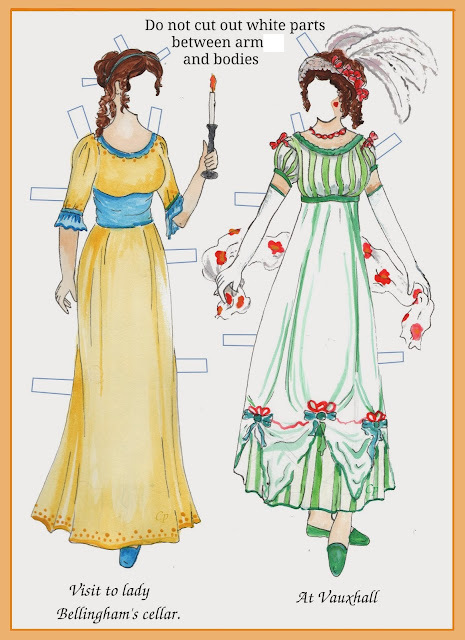 The individual characters and their communal story emerge. There is very little contact with the outside world, and when there is it is dramatic and traumatic. I loved this book, though I’d be hard put to explain exactly why, or what I thought she was trying to do or say. But that didn’t seem to matter, I just found the strange house, the unlikely people and the uneasy atmosphere to be compelling and memorable. 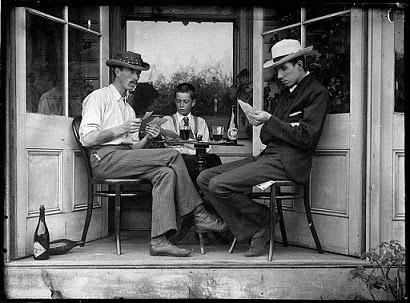 After Me Comes the Flood is set, as far as you can tell, in relatively modern times, but the pictures of the card games matched the mysterious world of the house, and the man with the beard seemed like the preacher Elijah. 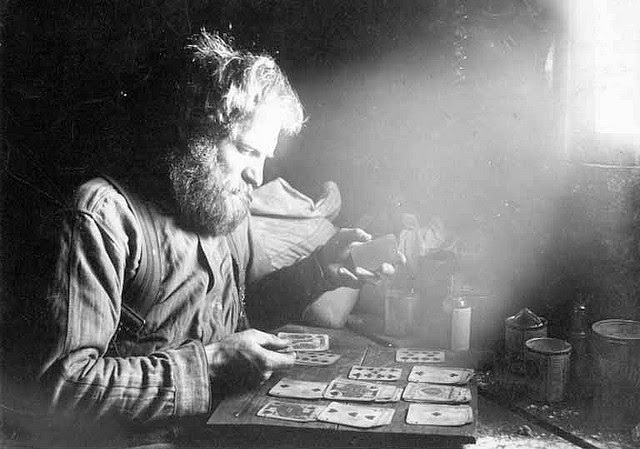 He is in a cabin in Yukon in 1898, presumably part of the Alaskan goldrush, and looks like the actor Brian Blessed, but isn't it an extraordinary photo? The top picture is from the Powerhouse Museum in Sydney Australia, the other is from the University of Washington collection. Moira - Hmmm..this does certainly sound like a very different sort of novel. Still, although it might be hard to get your head round what it actually is or isn't, it does sound intriguing. And I love those references to the fictional sleuths! And yes, that description of 'poison pen' letters is great. Sounds like one of those books where you have to let go your expectations. Yes, it's a very intriguing book, and one I think will stay in my memory, but very hard to describe. Seems interesting, but alas too much other stuff to get to already. This book intrigues me, like unusual books, as long as they are not apocalyptical or science fiction. I, too, like the references to classic sleuths. I will put it somewhere on my impossible TBR list. I liked it because it doesn't resemble any other books. And it is short! I understand what you mean, although I did find it a very compelling read. Not read anythign by her Moira - but be a bit hermetis for me by the sound of things, but thanks for the introduction! I think she's going to be a writer to watch, I'll be very interested to see what she does next: perhaps you'll be tempted by a future book. Sounds interesting and unusual. Have to think about it. With a new book like that, I usually have to wait awhile before it is available and affordable anyway, so plenty of time to mull it over. The images for this post are very nice, especially the top one. I loved both those photos, really pleased when I found them. Just keep this book in mind Tracy - if you come across it some time you might just like it.